Located behind the yellow boulders of Zainab Market is an old building – not necessarily a horror house, but for the rich, powerful and resourceful. A place where dealings could be made in the dark – quite reminiscent of a horror house. For those who would have doors of prisons flung wide open on their orders could not make the doors of this horror house sing to their tune. Haughtiness running in their veins and lost in their quest for more power, these arrogant minds could not stand the weak sitting in front of their very own eyes. The fulcrum movements of a pen moving within their fingers – leads to flashy headlines across leading newspapers the following day, something that strikes them on their head and heels. People running the government also try and dream of influencing the Karachi Press Club. Manipulating is a far-fetched word, these people haven’t had the courage to step inside the periphery of the Karachi Press Club – let alone try to influence it fir their own sake. Whether it be the martial law of General Zia, or the regime of Pervez Musharraf or even going back to the presidency of Ayub Khan, no dictator had the courage to sabotage and/or influence the Karachi Press Club and its personnel. It was the stature of this Press Club alone that no sitting officer of the Armed Forces had ever set foot within its territory. This Press Club has seen the rot of tear gas shells being bombarded at, protests being led and carried out outside it. However, whenever the journalistic community stepped inside its perimeter, they felt safe and at ease – no matter how deteriorating the situation outside was. I, myself have seen many rebels taking shelter inside this very own Press Club, with the Police force waiting for him outside to surrender. However, they never knew how they could enter the Press Club? Despite their being many other traditions that are still intact, unfortunately this one has come to an abrupt end. On the eve of the 5th and 6th of November, dressed as normal citizens, these powerful elite forcefully entered the premises and started searching for documents and people. They also brought with them an important message for all to see – in this country it is the powerful who dictate what and how things take place. “I did not go inside, I went over to Zainab Market.” Is his response. As a reply, the person says, “I did not go inside. I just walked past here.” After this, he boarded one of the standing land cruisers and sped away. 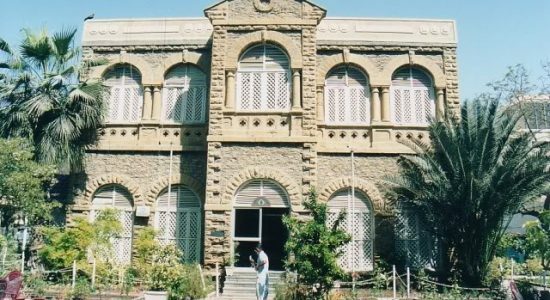 Karachi Press Club is not only considered a home for journalists – it is the place from where revolutions are born. In the heydays of dictatorship, if the martial law executive ever felt the heat and pressure of the media – it was felt by the burgeoning voices emanating from within this very building. It were these very pens of these journalists that castigated the decisions of dictators – eventually landing them in prison cells where they would lie down on the rugged-less floors, but would never bow down to these tyrants. Such was the aura of this building, that even 60 years after independence, not a single dictator had even tried to blink an eye to it. Even the security agencies knew well that at 4 in the morning, journalists would be sipping their cups of tea or would be vaping cigarettes but they would never find any writing or material that might support an anti-nationalistic policy or agenda. As a member of this club, I have seen this building reach the pinnacle of respect, aura and dignity in my lifetime. It was not a surprise that for so long this Press Club was considered the hallmark of respect and honor. During the reign of Musharraf, many journalists protested within its vicinity. For as long as the protest was within the premises of the Press Club, not action was taken forth by the police – who kept waiting patiently until they crossed over the boundary cushion of the Press Club and started to arrest the protestors at will. At least 140 journalists were detained by the police that very day. The respect of this Press Club was an agreement that all parties respected and adhered to. The Press Club was never home to any individual deemed a threat to this country yet in November 2018, during the government of a so-called parliamentary government this tradition was broken. Even after such a tragic incident took place, the Chief Minister had no qualms or regrets about the mission that had been undertaken. No matter how good the government of the Pakistan Peoples Party performs for the rest of their time in government, they will not be able to strive off this irremovable stain from their foreheads. Late at night, there was a knock at the front door. The same two land cruisers were present outside. The daily publishing newspaper ‘Roznama Naye Baat’ sub-editor and member of the Karachi Press Club Nasr Ullah Chaudhry was kidnapped from his own residence without an issued warrant – citing his arrest. There was a severe uproar in the journalistic community on this action being taken by the security forces, who therefore recommended that bilateral talks take place between the two parties. It was agreed that if the protestors end their protest, the journalist would be freed. However, despite owing to their demands, Nasr Ullah Chaudhry was presented in front of the anti-terrorism court as an abettor and instigator of religious intolerance. This is not just one incident, it was followed by a second incident in which senior journalist Shabbir Azmi’s residence was ransacked by unknown people. The journalist who had spent decades fighting dictatorships and martial laws, who now moves about in a wheel chair was considered a target. There were pictures taken and videos made of his residence and his family was harassed as well. What message is being given to the fraternity of journalists in Karachi? That this time, the fight is against an un-announced martial law.